Many people protected stores from being looted and helped people affected by looting. There have been many recent donations to local food pantries. Community members have offered protection and shelter to reporters. 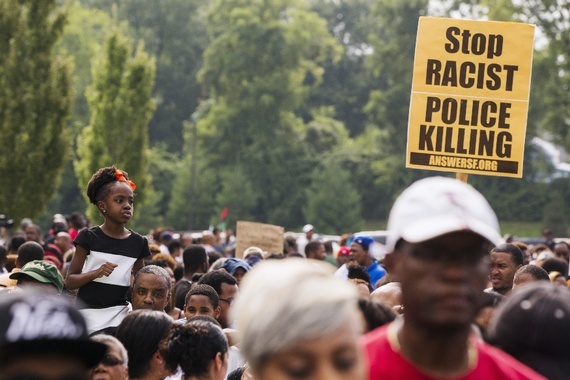 Religious leaders have worked hard to bolster an sense of community in Ferguson. The Wisconsin Hope Lab helped secure college scholarships for the three siblings of Michael Brown. Ferguson residents have been acting as humanitarians by giving food and offering shelter and first aid to those in need. To read more about the untold story of Ferguson, Missouri click here. Jennifer Harvey in The Huffington Post tells parents of white children that statements to their children like “Everybody is equal,” and “We’re all the same underneath our skin,” have little or nothing to do with actual conversations about race, racial difference, and racism. It’s sugar, she says, when our kids need protein. To read more, click here. In a post to the Red Room blog, Tim Wise debunks the claim that discussing racism and discrimination creates passive victims out of people of color. 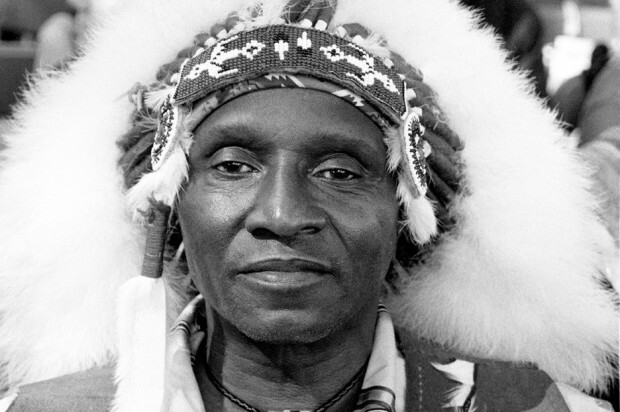 He shows how the claim flies in the face of every bit of empirical evidence on the subject: knowing the truth about racism inspires perseverance and passionate resistance to victimization, not resignation to one’s status as a target. Research makes clear that racism is a problem, and there is no responsible path forward but to discuss it, to call it out, and to address it directly. To read more, click here. 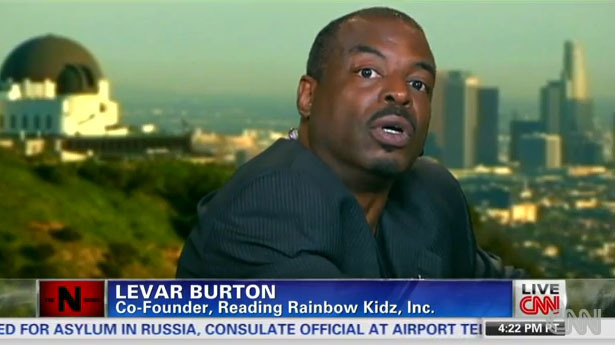 He’s not exactly known for bad behavior, but even the former host of the children’s show Reading Rainbow fears he will be mistreated by police because of his skin color. Actor and director LeVar Burton explained on CNN that he follows a particular procedure every time he is stopped by police to avoid a potentially deadly confrontation. To read more, click here. 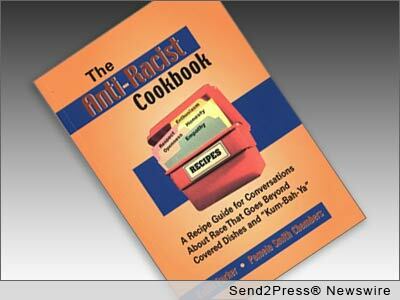 In the blog “dreamwidth,” a contributor named Mely shows you, with tongue-in-cheek, a few simple techniques you can use to suppress the discussion of racism and to make sure racism is perpetuated. He says to keep in mind that your goal is not to learn or to educate, to listen or be listened to, to increase your understanding of difficult issues, or to exchange opinions and communicate with other people. Your goal is to make discussions of race so difficult and unrewarding that not only your opponent but any witnesses to your argument will never want to discuss race in public again. To read more, click here. The racial wealth gap between blacks and whites has increased by $152,000 in the past 25 years, according to a new study from Brandeis University’s Institute on Assets and Social Policy. 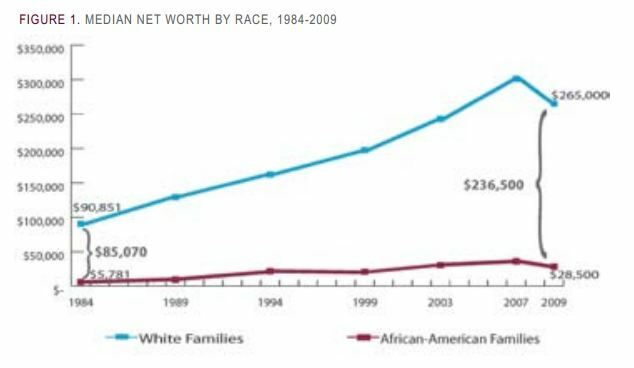 The median wealth of white families has shot up precipitously since 1984, while the median wealth of black families has barely moved. To read more, click here. 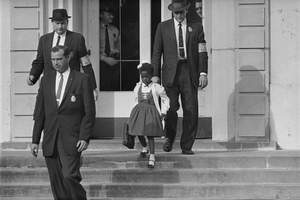 An article in Teaching Tolerance: A Project of the Southern Poverty Law Center, reporting on high school student awareness of racism, points out that we have a responsibility to our students to have honest dialogue about race, privilege and institutional racism so that they can articulately speak out against it. We can no longer afford to create citizens who don’t see racism. 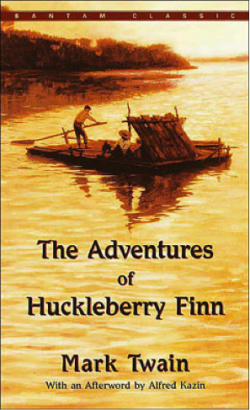 Huck Finn can be a powerful tool for prompting discussion about racism in the United States, past and present. To read more, click here. According to a recent ACLU report, African Americans are 3.7 times more likely to be arrested for marijuana possession than whites. To read more, click here.